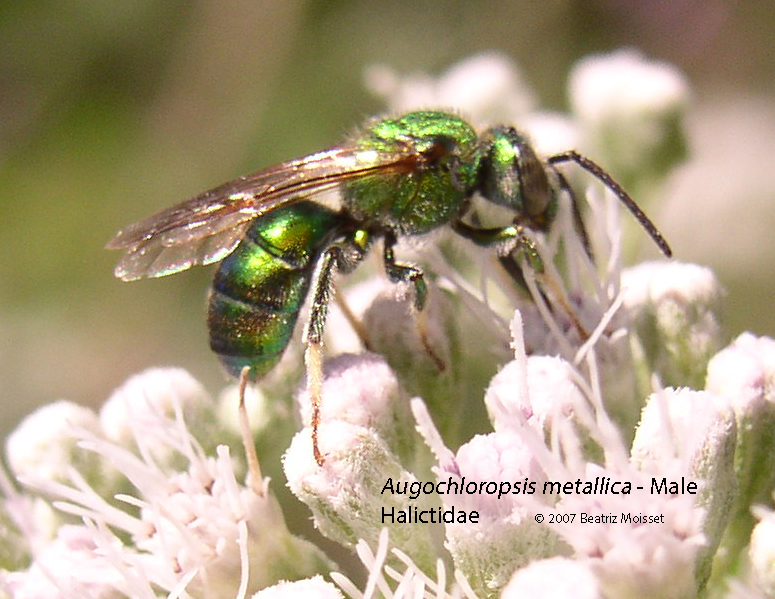 The members of the Augochlorini tribe of the family Halictidae are all metallic green, sometimes they have bluish or coppery tones. 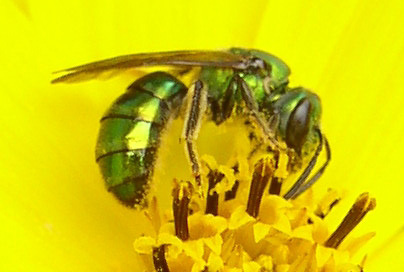 Their name refers to the green color. 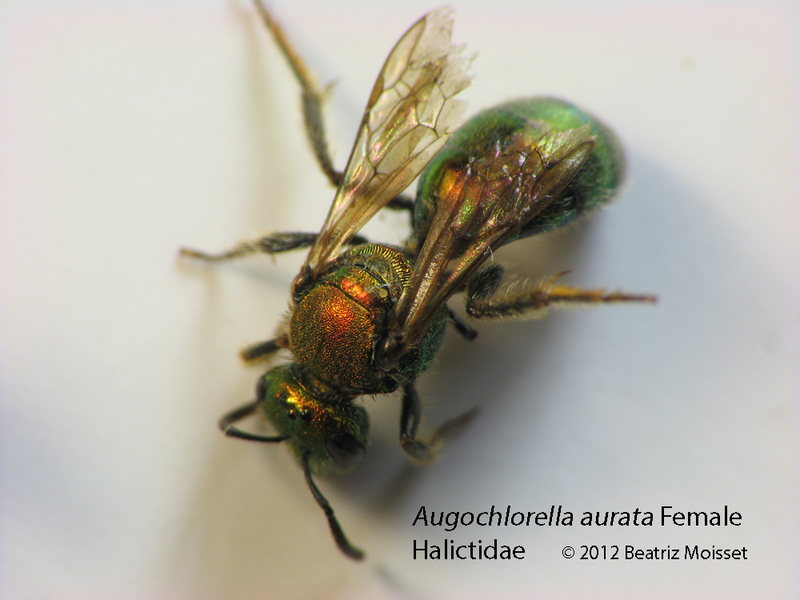 The most common ones in our area are Augochlora pura, Augochlorella aurata and Augochloropsis metallica. 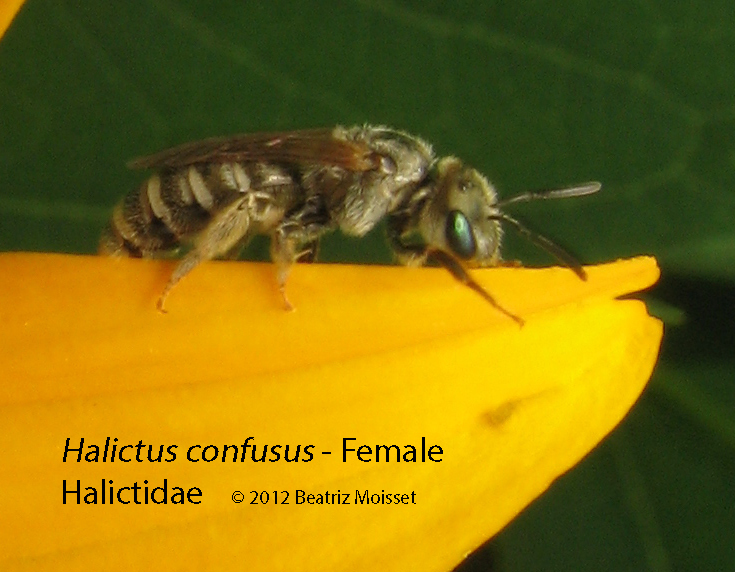 These bees are called sweat bees because they are often attracted to our sweat; they may tickle a little but they are not inclined to sting. 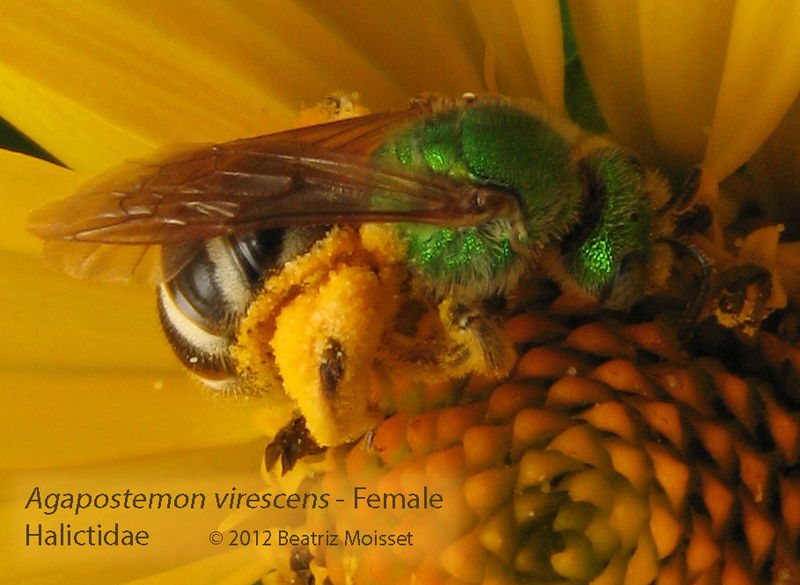 They are smaller than honey bees. 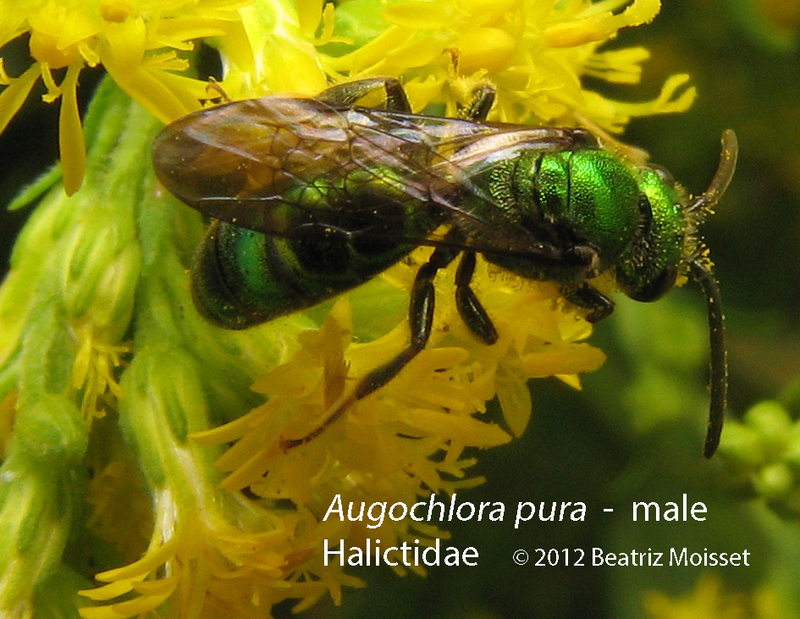 Among them the augochlorini bee is metallic green, a little gem. 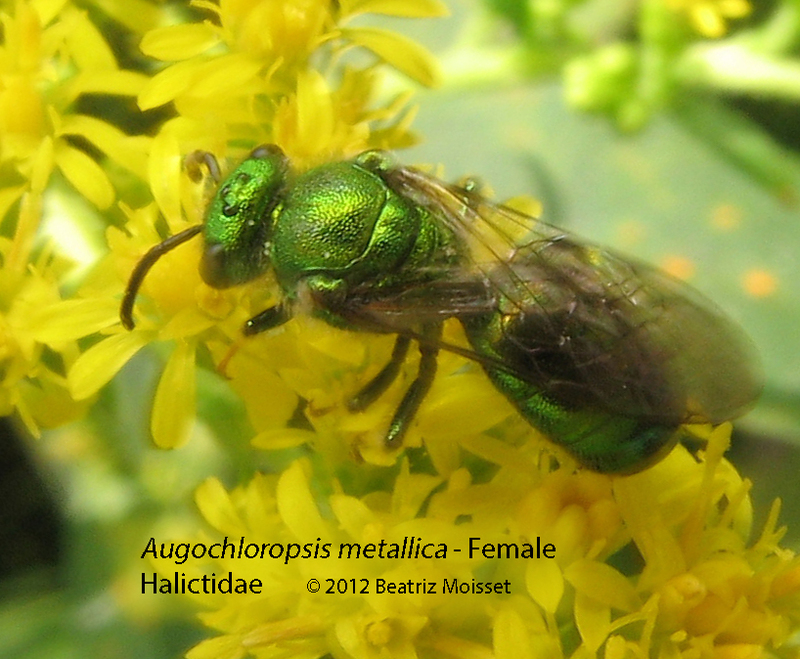 Its metallic color can vary from a coppery green to a metallic bluish green. 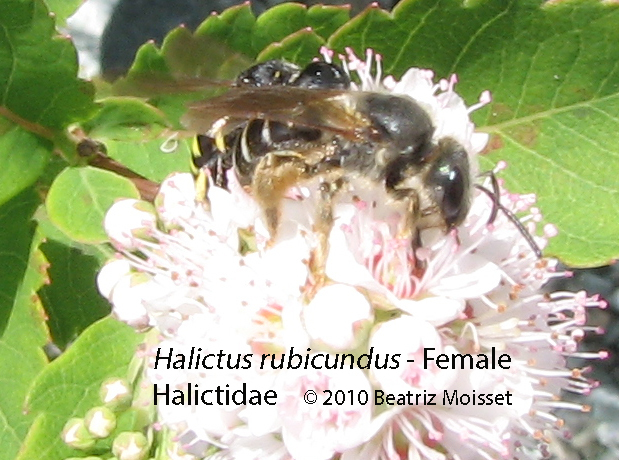 On the other hand, Halictus is predominantly black with rows of whitish hairs on the abdomen. The head is rather large. 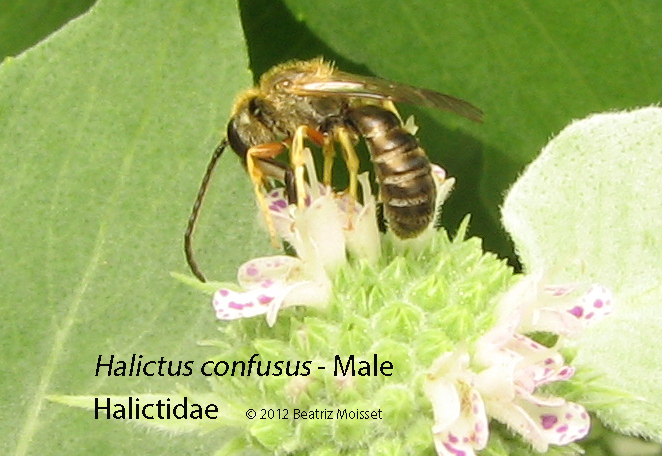 Most of them make nests in the ground. 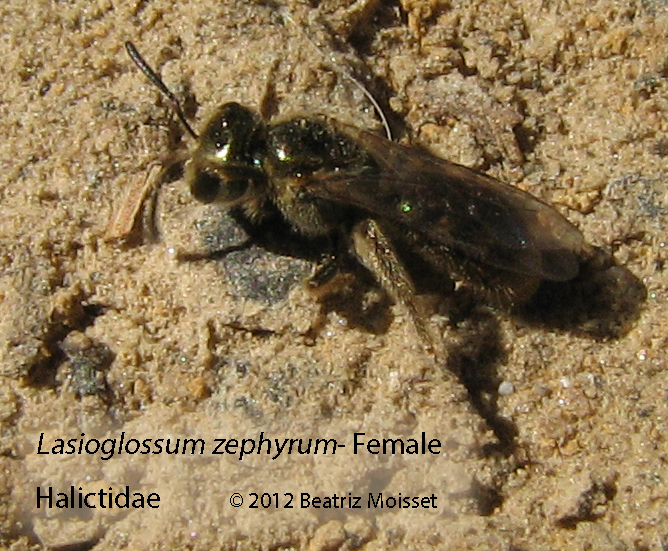 Sometimes you may confuse them with ant hills until you see a bee sitting at the entrance, barely sticking its antennae out. 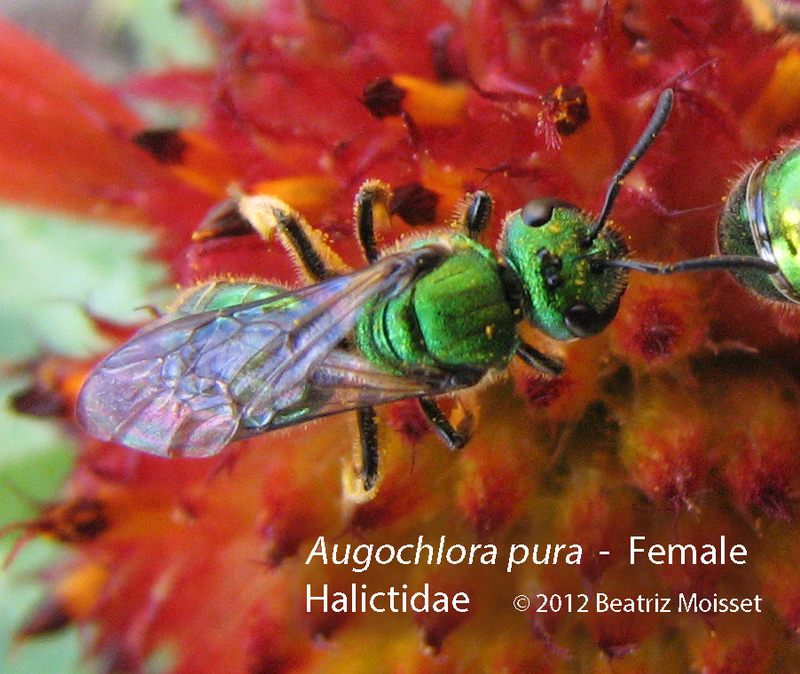 They pollinate many different flowers. 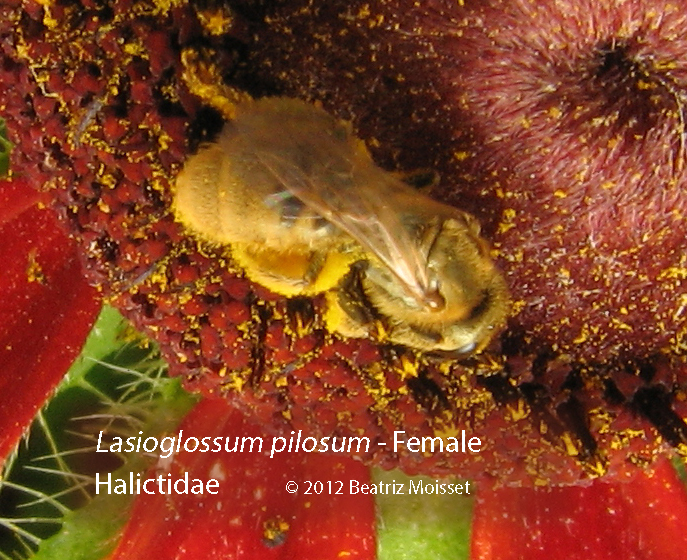 Look for females carrying pollen loads like big yellow saddle bags on their hind legs. 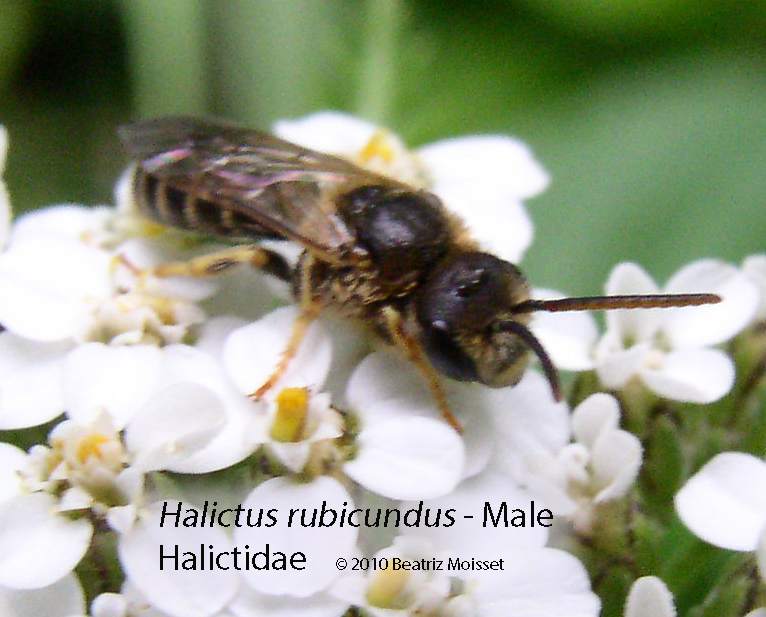 Habitat. 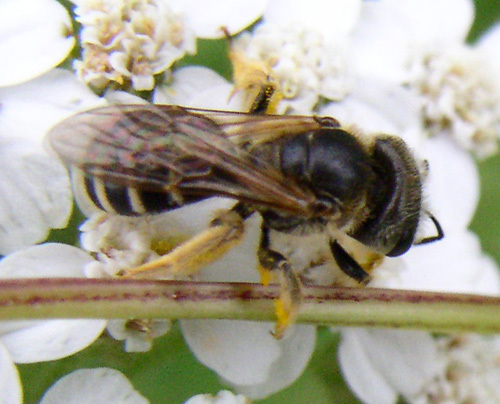 A very wide range of habitats, from farms to gardens. Mostly open fields near wooded borders. Season. 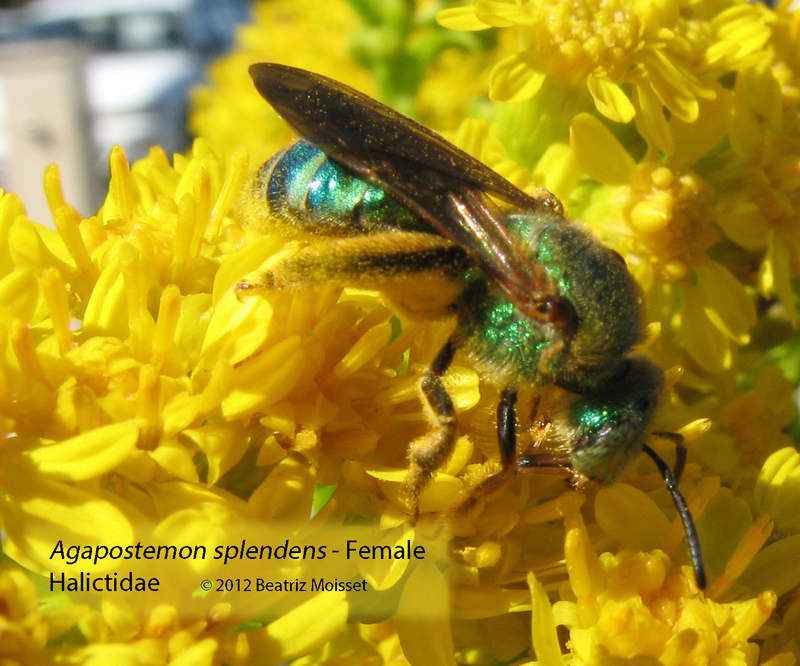 They start flying as early as March and continue until October or November. In southern states, the season is practically year round. Flowers. 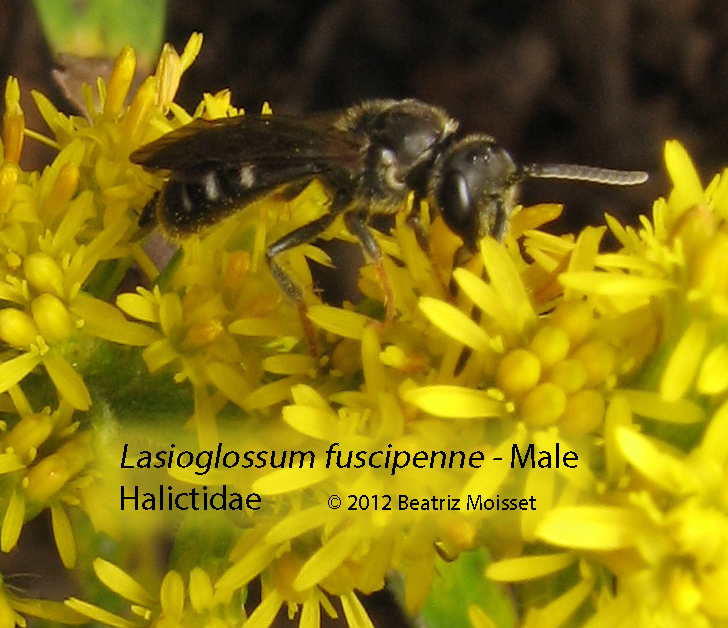 They visit a wide variety of flowers, many in the aster family. 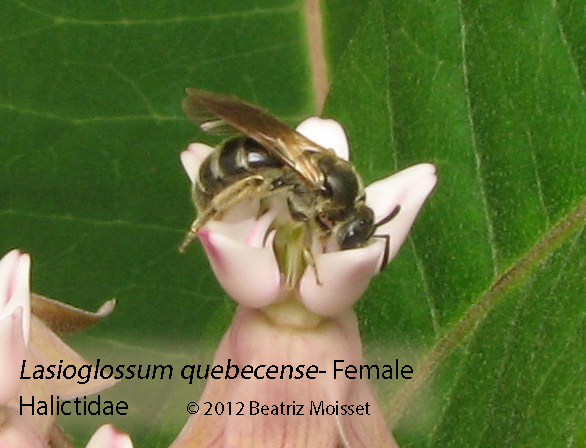 They can be seen at small flowers such as the ones that grow on lawns. 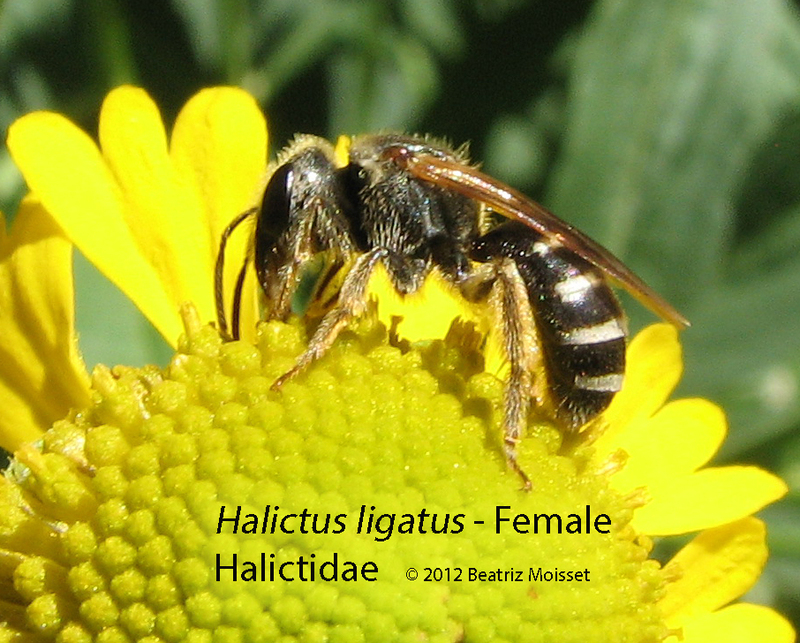 You are currently browsing the archives for the Halictidae category.